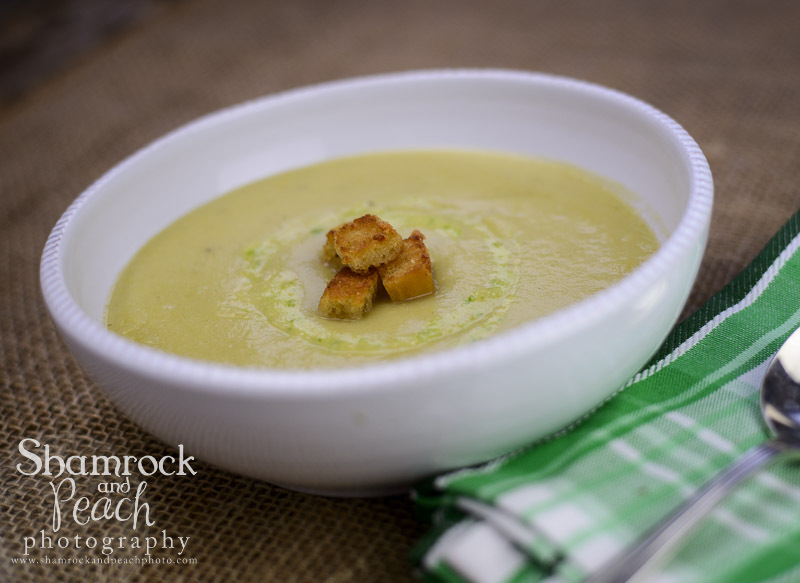 The most famous Irish dish for St. Patrick’s day? Irish Spring Lamb for St. Pats…delicious the wide world over! Yes, turns out that Irish stew made with spring lamb is very popular in Ireland, the UK, Europe wide and through the other parts of the Irish diaspora, such as in New Zealand and Australia, but not so much in America, which is a pity. However, let me encourage you to give this a try this week and I know you will be a convert! Go on…be brave and try it, you won’t regret it, and yes, it IS the most popular Irish dish world wide. Here is my take on it, seasoned with rosemary sea salt to prefect the dish. Enjoy! Peel and dice the potatoes and carrots. Place in a bowl of cold, salted water. Trim off any visible fat from the lamb chops. Combine the flour, salt and pepper in a bowl and coat the chops in flour mixture. Heat the oil in a large, ovenproof skillet and braise the chops in small batches. When done, transfer the meat to the base of an ovenproof dish. Sauté the onions in the same skillet as used to braise the lamb for 3-4 minutes to soften and lightly caramelize. Transfer the onion and half of the potatoes on top of the meat. Cover and bake for 1 ½ hours. Add the rest of the potatoes and carrots. Simmer with the dish covered for an additional 30 minutes until the vegetables are tender. To serve; remove the bones from the chops and stir the meat and vegetables together. Place in individual bowls and garnish with rosemary sea salt, chopped parsley and a drizzle of olive oil. It’s time to go green again and no better way to do it with seasonal antioxidant packed kale. 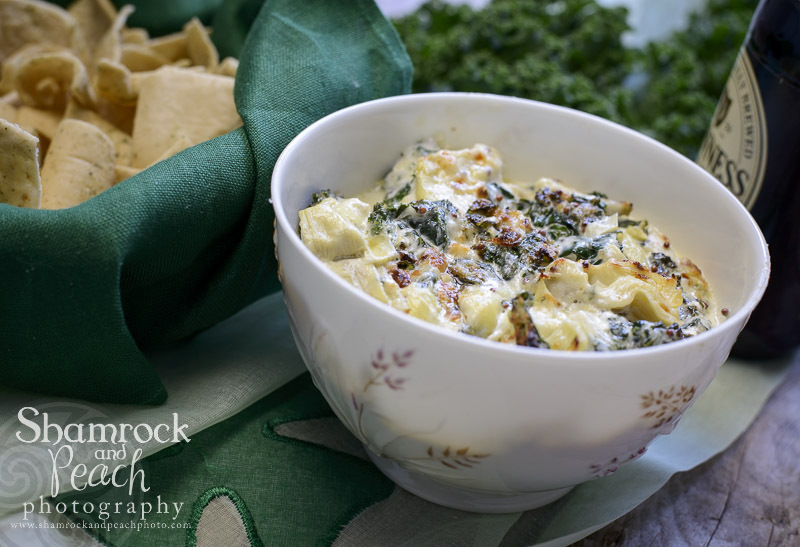 Yup, this dip was been a huge hit on my Kerrygold Aprons Cooking Tour, and the stout whole grain mustard blends beautifully with the perfectly baked artichokes and kale. Artichokes and Kale, Artsy Kale, get it?….oh well. The recipe also substitutes some of the mayonnaise for Greek style yogurt to slip in some more protein packed nutrition for celebratory munching. Of course, the Dubliner Irish Cheese with it’s natural crystals conjure flavors of Parmesan and Swiss, and totally melt in your mouth with ease. So, without further adieu please allow me to share my recipe and wish all my friends and followers a happy, healthy and fun St Paddy’s day! Bring salted water to a boil in a medium saucepan. Add the kale and blanch for 1 minute. Strain the kale and place in a bath of ice cold water to stop the cooking process. Squeeze out any excess water and set aside. Combine the yogurt, mayo, mustard, hot sauce, garlic, salt, pepper, cheese and finally fold in the prepared kale. Serve with garlic toasts, pita chips or crackers.